This is a question I see popping in several articles online and it’s a question we deal in our upcoming project ‘Faster Fashion’. 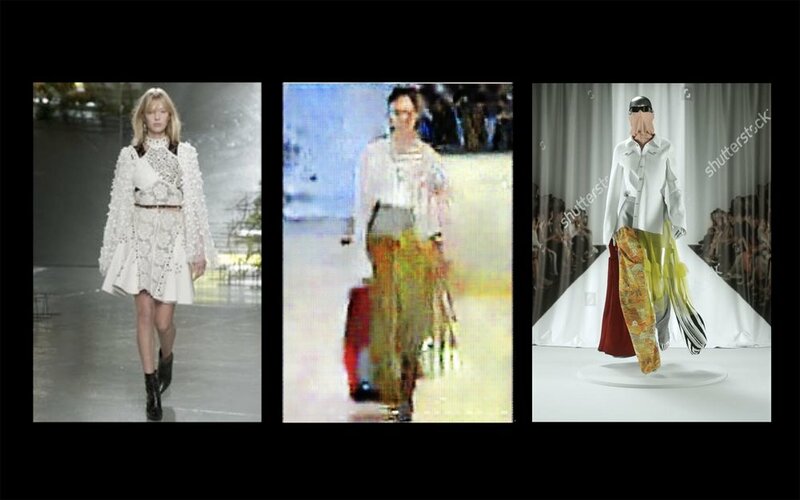 Thousands of images from Paris Fashion Week were fed to a neural networks algorithm to provide multiple (pixelated outcomes) ‘predicting’ the next fashion trend. Digital fashion designer @amberjaeslooten used these outcomes as inspiration for her next digital collection.